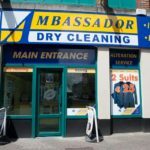 Short Business Description: Ambassador Dry Cleaners is a family run dry cleaning business located throughout Limerick. 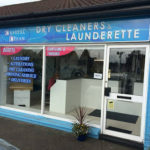 They provide a professional, specialised dry cleaning and laundry service in Limerick City and surrounding areas. They support all your dry cleaning requirements from general everyday workwear through to custom designer items. 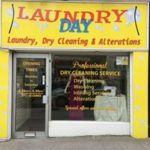 Short Business Description: Earlybird offers an exemplary dry cleaning and laundry service focused on meticulous fabric care and discreet and attentive service. Earlybird was founded in 1989. They use the most advanced and environmentally friendly techniques in fabric care. 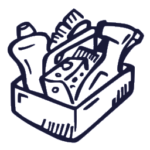 Every item goes through Their thorough cleaning process. Short Business Description: Save money and buy directly from the clothes hanger manufacturer. Choose from our wide range of plastic, wire and wooden hangers all at low prices. To find out how to buy clothes hangers in just a few simple clicks read more about them. 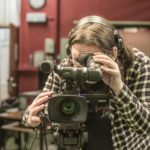 Short Business Description: Monday 8:30a.m.–5:30p.m, Tuesday 8:30a.m.–5:30p.m, Wednesday 8:30a.m.–5:30p.m, Thursday 8:30a.m.–5:30p.m, Friday 8:30a.m.–5:30p.m, Saturday 8:30a.m.–5:30p.m, Sunday Closed. 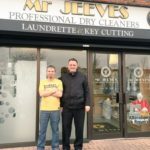 Short Business Description: At Mr Jeeves, they want to satisfy the customer needs and guarantee a meticulous and punctual service by providing a clean, reliable place for washing your belongings. Their goal is to make things as simple and fast as possible. 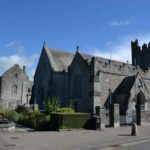 Short Business Description: Based in Limerick City beside King John's Castle they are a locally owned dry cleaners and launderette. 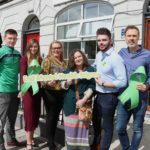 They are an active Guild Assist Member of the Guild of Cleaners and Launderers. Their staff are highly trained in all aspects of their business. They pride ourselves in their attention to detail as textile and garment care specialists. They offer excellent service at competitive prices.